If you're a network administrator and want a simple but powerful solution to your network virtualization headaches, look no further than this fast-paced, practical guide. VMware NSX is at the forefront of the software-defined networking revolution. It makes it even easier for organizations to unlock the full benefits of a software-defined data center – scalability, flexibility – while adding in vital security and automation features to keep any sysadmin happy. Software alone won't power your business – with NSX you can use it more effectively than ever before, optimizing your resources and reducing costs. Getting started should be easy – this guide makes sure it is. 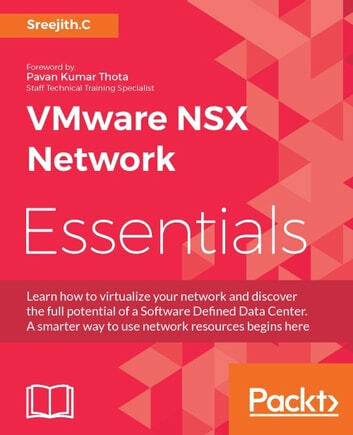 It takes you through the core components of NSX, demonstrating how to set it up, customize it within your current network architecture. You'll learn the principles of effective design, as well as some things you may need to take into consideration when you're creating your virtual networks. We'll also show you how to construct and maintain virtual networks, and how to deal with any tricky situations and failures. By the end, you'll be confident you can deliver, scale and secure an exemplary virtualized network with NSX. 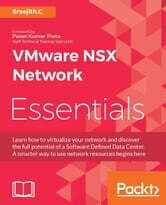 This book provides you with an introduction to software-defined networking with VMware NSX. Focusing on the most essential elements, so you can put your knowledge into practice quickly, it's a guide dedicated to anyone who understands that sometimes real-world problems require virtualized solutions.